For most property sectors, the outlook for 2019 is similar to what it had been for the past two years. On the second full day of presentations at the Urban Land Institute’s (ULI) annual fall meeting in Boston, topics ranged from maximizing ROI at mixed-use centers to best practices for incorporating farms and gardens into master plans. Here are some highlights from the day. More investors today are considering asset classes they haven’t worked with before. The outlook for most property types appears to be roughly similar to last year’s, said Andrew Warren, director of real estate research for PwC who presented ULI/PwC’s 2019 Emerging Trends in Real Estate report to members of the media on Wednesday. “We’re still kind of where we were,” Warren said. For example, the report found that industrial/distribution properties have the best investment prospects, and retail the worst—the same prognosis for 2019 as there was for 2017. However, Warren noted that investors are increasingly looking at property types that they haven’t tried before, as they search for new opportunities. The top markets for real estate investment are concentrated in a few regions. The top U.S. markets for overall real estate prospects include, in order: Dallas/Fort Worth, Brooklyn, N.Y., Raleigh/Durham, N.C., Orlando, Fla. and Nashville, Tenn., according to ULI’s report. Markets in Florida, North Carolina and Texas dominate six out of the top 10 spots on the list. “We’re looking at a whole different set of markets” than gateway cities, Warren said. The best multifamily amenity? Time. On a panel that discussed ULI’s report, ULI Global Chair Thomas Toomey, who is also the CEO of multifamily REIT UDR Inc., said he has seen a shift in the amenities that apartment renters want. There is an increasing desire for event space, where tenants can gather to cook and have a glass of wine—and people to clean it for them, Toomey said. This comes as people in general spend less time in their apartments. And as the average tenant today has grown older—UDR’s average resident is 37 years old—the greatest amenity Toomey said a landlord can provide them with is services. This way, tenants can spend their free time doing what they want, he noted. “Free delivery” is a myth. Technology has been booming in recent years in the real estate industry, and many smart organizations are investing heavily in the space, according to Warren. But one area that has proved challenging is that of free delivery—a growing expectation consumers have for retailers. Free delivery puts a lot of stress on infrastructure and leads to a lot of indirect and direct costs, noted Warren. Environmental, social and corporate governance (ESG) issues are more important than ever. Affordable housing has long been an issue that needs to be solved, but investors are putting more focus on ESG issues in general—those that touch on environmental, social and corporate governance, according to ULI’s report. “It’s gaining critical mass,” Warren said. Know your audience. This message is key for developers of mixed-use properties, said panelists during a session on how to maximize ROI from such centers. By knowing what locals want, it can help developers add value to a community—and find retailers that might otherwise have been overlooked, said Clare De Brier, executive vice president and regional managing partner at Skanska USA Commercial Development. For example, De Brier said at an office building her firm completed in Seattle, a popular tenant has been an ice cream shop known to make the best ice cream in that city. This helped to differentiate the property in Seattle’s downtown, while providing a big revenue boost, she said. “That added more value to that building,” De Brier added. Amazon’s HQ2 hunt? Likely all a ploy. 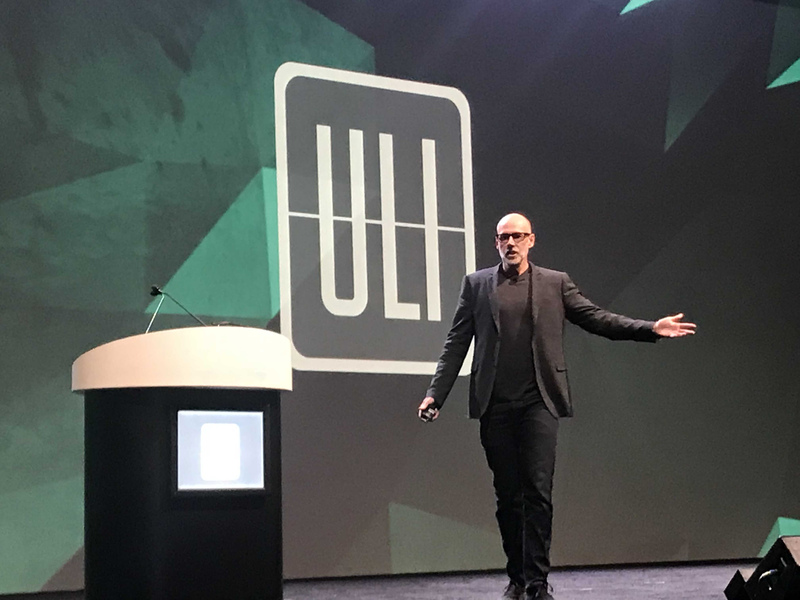 Scott Galloway, a professor at New York University’s Stern School of Business, closed out Wednesday’s sessions with a discussion on the dominance of the top four companies that dominate today—Apple, Amazon, Google and Facebook. Galloway used the 18-month saga of Amazon’s quest for another location for its headquarters—a topic that has dominated headlines and has had municipalities across the country coughing up incentives—to underscore this theme. “This was over before it started,” he said. So, what’s Galloway’s prediction? Washington, D.C., where Amazon CEO Jeff Bezos has a home. Want a farm in your development? Plan it out. Agriculture is increasingly being looked at for development, but if there is a farm or a garden in a project, it’s usually in some excess space. That’s not the best place for them, said Daron Joffe, of Farmer D Consulting, which specializes in designing and building community farms and gardens, during an informal session on the topic. “A lot of times farms are an afterthought, and they’re put in kind of a leftover space, which is I think a big mistake,” Joffe said. “I think what we want to do is really put the farms where they would be the most successful.” Considerations Joffe said to think about include: where the soil is the best for growing and locations where people can easily interact with the space, for example.